High-speed, up to 475 fpm, ripsaw with up to 4 moving blades for optimum yield. The machine can be equipped for glue-line ripping, as well. 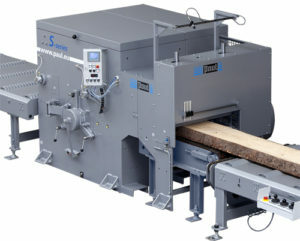 This machine is built to handle rough or planed lumber with a unique feeding system consisting of 6 rollers with the top 3 being our cushion-mounted rollers to conform to even very low grade and twisted boards. When fitted with our AB series of ripsaw infeeds the system can automatically measure and optimize your boards based on the highest possible yield. High-speed ripsaw equipped with 2 arbors that allows you to hog the edgings with the first arbor and rip with up to 4 moving blades on the second arbor. 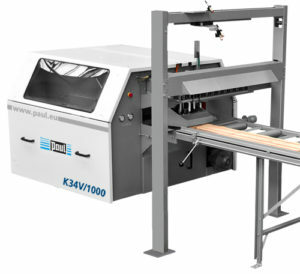 The machine can be equipped for glue-line cutting quality. When fitted with our AB series of ripsaw infeeds the system can automatically measure and optimize your boards based on the highest possible yield. 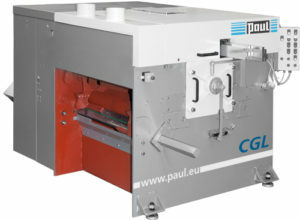 This machine is designed for medium production ripping applications and can be equipped with up to 4 moving blades. When fitted with our AB series of ripsaw infeeds the system can automatically measure and optimize your boards based on the highest possible yield. Our KME-3 Edger can be equipped with up to 4 moving blades and is designed for processing waney-edged boards in a sawmill application. When fitted with our AB series of ripsaw infeeds the system can automatically measure and optimize your boards based on the highest possible yield. 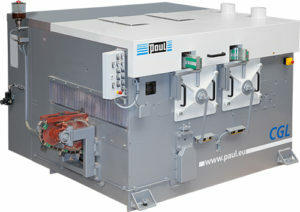 The infeed allows production capabilities of up to 16 boards per minute. Our S-Series edgers are available in widths up to 59” and can be equipped with up to 4 moving blades and automatic edging disposal. When fitted with our AB series of ripsaw infeeds the system can automatically measure and optimize your boards based on the highest possible yield. 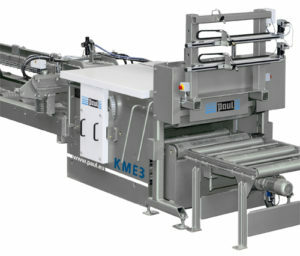 The infeed allows production capabilities up to 16 boards per minute.